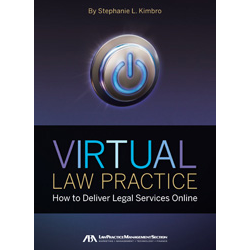 Are you looking for ways to market your legal practice? Then check out the ABA Journal’s online article, 50 Ways to Market Your Practice, for tips and suggestions compiled by Terry Berger of Westminster, Maryland. If you are looking for more in-depth coverage, the Law Library’s collection includes the following materials. Flying Solo: A Survival Guide for the Solo and Small Firm Lawyer, edited by K. William Gibson, et al. All of these titles can be found in the law library. 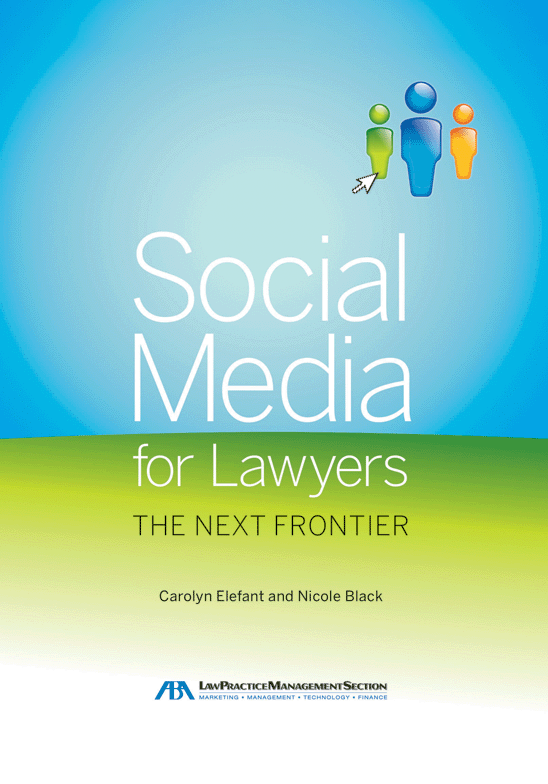 Find out how social media can be used in the practice of law. In researching this topic further I found that the National Center for State Courts website contained a wealth of relevant information and links to actual examples. 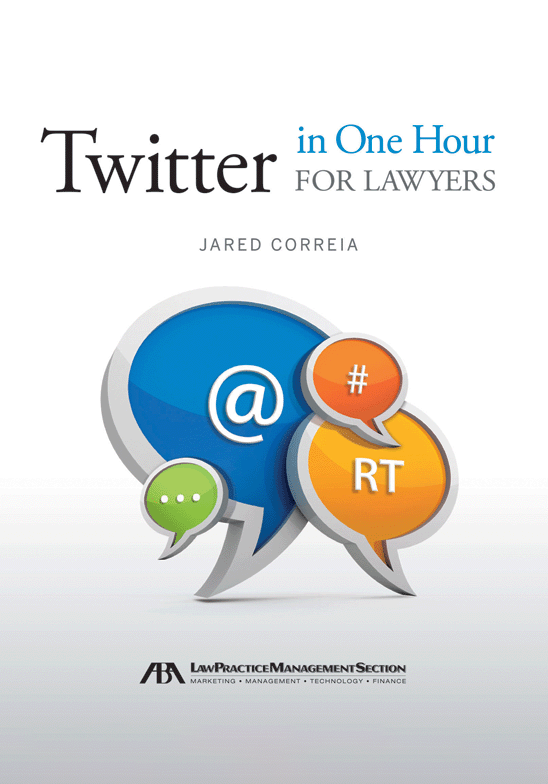 Social Media and the Courts : Overview describes the issues from use by juries to use by the courts. 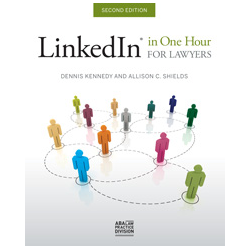 Social Media and the Courts : Resource Guide contains links to articles on such topics as the effects of jurors using social media during trials, use of social media by judges and attorneys, links to articles about court blogs as well as links to court blogs, and information on policy. Social Media and the Courts : State Links examples of actual court use of social media such as Twitter and Facebook. Keynote speaker, Ari Shapiro, NPR Justice Correspondent, did a great job making the case for the use of social media like Twitter, blogs and Facebook by the courts. You can hear for yourself how (Twitter to announce new court opinions) and why (public interest and transparency) courts should make use of these new technologies. The video replay is already available on the CTC 2009 Blog through the NCSC CTC Conference Video Streams. The program, The Role of Social Networking Tools for the Courts, continued the social networking topic. The speakers, both from LexisNexis, Christine O’Clock and Travis Olson, started with the basics by defining and describing three of these new technologies, blogs, Twitter and Facebook. But first they dealt with the why. They cited a number of reasons: people trust the more personal word of mouth information, people are already talking about the court, awareness in order to avoid pitfalls, traditional media is being replaced by social media and engagement for the development of better relationships with the legal community and the public. 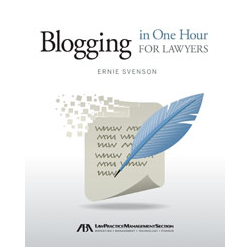 Blogs can bring new audiences for court information resulting in a better understanding of the courts by the public. Blogs are not as static as a website and can be updated quickly and frequently and can put a more personal face on the court. The Las Vegas Clark County blog was presented as good example of a court blog. Twitter was described a great way to listen to the world around you. It allows for the broadcast of real time announcements and can be used to drive awareness to other sites and tools. They liked the way the Superior Court of Fulton County Georgia(@FultonCourtInfo) had announcements and real time information on Twitter that linked to the court blog and website. A search for CTC tweets brought up the tweets of law librarian richards1000 who was recognized for his contributions in the legal Twitter sphere. 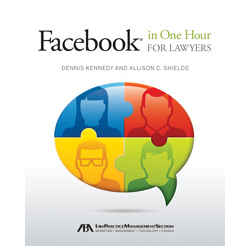 Facebook can present the courts perspective, discuss and listen. New Jersey courts are on Facebook where they have links to news, photos from court events, announcements and links to Youtube videos. The program concluded with a discussion of how social technology can be implemented for judges, court administration, PR offices and Clerks of Court. All should make awareness and self education the first step. It is a good practice to monitor the technolgies for discussions of court cases or issues. Judges’ awareness allows the specific mention of the use of social media by jurors and witnesses and to develop media access policies. In addition, court adminstration can develop internal staff use policies and create a strategic plan for outreach to increase court transparency using social media. PR departments could add social media to the press release list. The clerk’s office can post announcements, spotlight frequently asked questions or create a tour of the court’s work flow. The best way to learn about these new technologies is to jump right in and sign up and see how it all works for yourself.